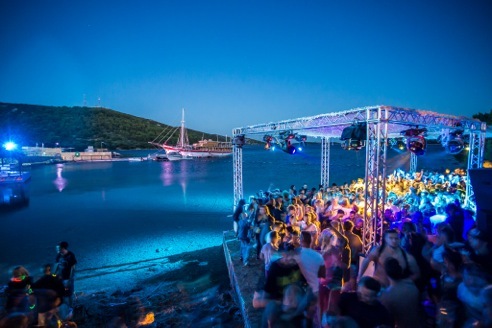 Defected recently announced the full six day programme for Defected Croatia, including details on the three daytime stages, twice-daily boat parties and night-time parties. The full six-day programme is now fully formed with recent line up additions from Black Motion (announced as special guests), Claptone, Amine Edge & Dance, Mat.Joe, Session Victim, Ninetoes, Folamour, Pablo Fierro, Melvo Baptiste, Armless Kid, Kiddy Smile and Aeroplane. Defected joins forces with BE-AT.TV and Mixmag to host headliners like Eats Everything, Julio Bashmore, Derrick Carter, MK and Kenny Dope on the Main Stage across the week, while on Friday and Sunday Glitterbox takes over with Todd Terry, The Shapeshifters, Basement Jaxx, Claptone and more. The Beach Stage will be the domain of hosts Classic Music Company, We Play House, Soul Heaven, 4 To The Floor, and Data Transmission with a mix of underground house artists plus emerging acts like Soul Clap, Josh Butler, Monki and Ninetoes. Two boat parties will set off daily on The Garden Resort’s Argonaughty, with Defected, Deep Vision, Deepah Ones (aka Spen & Karizma), 4 To The Floor, Undr The Radr, Glitterbox, La Rocca, D-Vine Sounds, Frequently Flying, Simma Black, Classic Music Company, Traxsource and Origins supplying the party. Every day, the Pontoon will see the likes of Nightmares On Wax, Pete Gooding, Brown S and Sef Kombo providing the soundtrack on the beach. Barbarella’s unique outdoor clubbing setting will be curated by Edible, DFTD, Glitterbox, Defected and Dennis Ferrer’s Misfit Society. Catch the return of Spen & Karizma after their performance last year, as well as Sam Divine, Amine Edge & Dance, Low Steppa, Derrick Carter (as ‘Derrick Does Disco’), Franky Rizardo plus plenty more bringing each festival day to a close under the stars.